Been dreaming of someone dying? Wondering what it means? If they are alive, does it mean they will die? Could they be coming back to life? Does the dream of someone dying mean someone is pregnant (which is one of the common answers)? 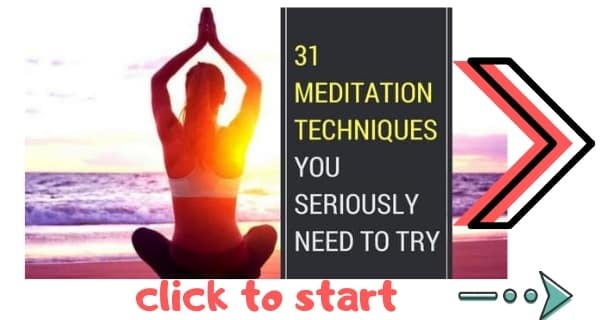 If you want to dream to stop you can simply use meditations for peaceful sleep or try some nighttime mantras. But what if you want to actually understand that dream? Tons of people are experiencing these dreams of dying, then waking up crying and wondering just what the hell is going on. Have you experienced these dreams about people dying? So what does it mean if you dream about someone dying?! What does this mean other than that the human mind is basically sick? First thing’s first, if someone has actually died in real life and you are dreaming about them, you need to let go of your sorrow and move on. But what if the dream has nothing to do with reality? How do you interpret a dream about someone dying? Just as your daydreams say a lot about you, your dreams say a lot too. But you can’t interpret your dreams literally. If you’ve been dreaming of someone dying, breathe. Be assured, your dream probably doesn’t mean what you think it means. Dreams aren’t text messages. And you can’t read them like a book . You cannot just read your dream about someone dying to mean that someone is going to die. Dreams are much more poetic than that. Let’s look at the wonderful, beautiful, and often complex science of dreams. There is a language of dreams. And it is possibly the most important language in the world. Dreams are the language through which your subconscious mind communicates with you. Your subconscious mind is the most powerful part of your mind. It’s like a powerful sage inside your own mind. Naturally, when your subconscious mind communicates with you, you will want to know what it’s saying. Your subconscious is not literal. 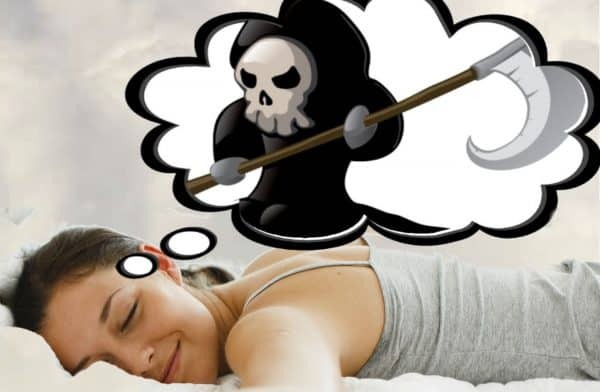 Dreaming of someone dying does not mean they are actually going to die, unless you have some serious psychic abilities. Dreams cannot be interpreted directly. The language of dreams is a language of visual, auditory, and sensory information that is (often but not always) told through an emotional storyline. I’ve always been fascinated by dreams because, honestly, my dreams are crazy. I’ve always had an overactive imagination. It literally feels like someone injected steroids directly into my imagination at birth. As an author, I am always happy and thankful for my imagination. It is a very valuable tool. I’ve actually written a guide to training your imagination. Have a read. Because your dreams are your imagination coming to life. When it comes to bedtime, my imagination goes AWOL (absent without leave) and my dreams are basically just insane. Oh, and I often dream of people dying. Good news is none of those people actually died. Well duh. In fact, more often I dream of dead people coming back to life (mostly my father). So what did those dreams of dead friends and relatives mean? To understand that, we need to investigate the process of dreaming. We then get to the first stage of sleep, which is a light sleep. The first dream stage is light sleep. The second stage is deeper. Stages three and four are the deepest. At this time, our brain is only using delta brain waves, which are the slowest. The fifth stage is REM sleep. Many physiological changes occur at this stage. We experience increased heartrate, heightened blood pressure, our bodies are paralysed, and we have increased amounts of alpha brain waves. If you are like me and have sleep paralysis, your brain will wake-up before REM sleep is finished, at which point good luck because oh hell is it awful. It’s also at REM sleep that you dream of people dying. (Dreams can occur at any stage of sleep. But they are most common at the REM stage). When we wake up, we forget half of what we dreamed about and this very quickly increases until we can hardly remember any of our dream. We then remember parts of our dreams but (importantly) we distort those memories. So when you remember a dream of someone dying, your memory is actually not the dream you had. Why Do We Dream What We Dream? In 1900, Sigmund Freud coined the term Wunscherfüllung, meaning “wish fulfillment”. Freud argued that the motivation for dreams is to fulfill our wishes. The cause of dreams are found in the events of the day before the dream. This he called “day residue”. So the dreams we have are a response to the day before, and are intended as wish fulfilment, so goes Freud’s theory. Actually consciously interpreting a dream is always very challenging because we only ever remember a small percentage of the dream, and what we remember is often distorted and inaccurate. How does Dream Interpretation Work? Condensation: This is the idea that one single element of a dream can represent several things. For instance, in the dream about someone dying, the person dying may actually represent a group of people. Displacement: This is the idea that the emotionally important event in the dream may happen to a substitute instead of the real, intended person / object. In our dream about someone dying, the person who dies could be a stand-in for someone else entirely. Visualization: This is simply the idea that thoughts in dreams are communicated visually. Symbolism: Just as in poetry, dreams use symbolism to replace people, objects, actions and ideas. When we apply these concepts to the dream about someone dying, we can start to see what’s going on. When you’re dreaming of someone dying, it could mean a variety of things. All of which are to do with endings and beginnings. The most obvious interpretation of a dream in which someone dies. The relationship is over. Heck. This doesn’t even require explanation. It’s like poetry 101 to symbolise the end of a relationship with a funeral. The person who dies in your dream might not actually represent a person at all. Truth is, the death of a person could represent the end of a pattern or a habit. And that could be a very good thing, depending on the habit. So take heart and feel reassured. Death might not literally mean death in the way we think of it. Is it time to start a new chapter in your life? If so, your dreams might be trying to tell you. And one way they would tell you is with the death dream. So smile. Because in this instance death actually means rebirth. Homes represent our connection to a lot of different people. Moving home can feel like the death of a lot of relationships in our lives. In order to emotionally prepare us to move home, our dreams may show many people dying. This is an emotional prelude to a huge change in our real-life relationships. If lots of people die in your dreams (or even just a few people) it could be a sign that your social circle isn’t doing you any favors. Is it time to find new friends? Or perhaps you need to drop your old work colleagues in favor of new ones. Heck, if you’re self employed this could be a sign to start networking with a different group. So that is what the dream of someone dying means. Now that you know what the dream of someone dying means, you cant rest easy. Why not make use of your dreams? Our dreams offer a unique and powerful way to train the mind and to develop. Our dreams are a way for the deeper parts of our minds to guide our consciousness. We can all make use of that guidance. The key is using Dreamworking. Dreamworking is a practical way to connect to your dreams, to understand them, and to make use of the messages they send you. Christopher Sowton RP ND has written an excellent guide to Dreamworking in his book Dreamworking: How to Listen to the Inner Guidance of Your Dreams [AMAZON]. In the book, Sowton shares five steps to making use of your dreams. I was gawping at the pages of this book. I found it fascinating. Totally unlike anything else I’ve read. It’s a truly original take on dreamwork. Definitely worthy of a read. Plus, the guidance is easy to follow even for those who have never tried dreamworking. As we’ve seen, dreams work like poetry. They use allusions, symbolism, emotion, and even story to communicate with you. That’s the brilliant thing about dreams: they can mean so many different things. What do you think your dream means? I would love to hear from you. me and my friend both had very similar dreams that my best friend died. Both of us has these dreams the same night. the story lines were very similar. what does this mean? Once I dreamt that my brother and I had agreed (without even speaking) that I was to euthanise him. I attempted once with a pillow over his face and I failed because it upset me and I noticed some pain on his face. He calmed and told me it was alright and to try again, but I definitely felt that he was relieved that I didn’t finish it. So I psyched myself into giving it another go and just as I was about to, I burst into raging tears. Like, I started howling with the rawest emotion, more than I have ever actually experienced in my life. It was as though I, in that moment, realised exactly what I was about to do and it crushed me. This dream has been affecting me for months now and I just want to understand what it may mean. Any insights? I had a dream of a loved one dying and all of the things it could mean did not happen so what does that mean about the my dream. Your articles are motivating me. I have a strange weird problem regarding my dreams and also life. In my dream all the time most of the time I see myself in India, although am in the united States. I don’t like to be there than also my dreams take me there, also I fight with my parents in these very dream. Some of the dreams have no relations even with my life, even in 100 of my lives. Now there is a problem going on alone with me. I just want freedom, actually they think I should stay with them. Should care for them. I love them they also do. It’s look like may be my bad deeds in previous life or may be sometime’s I think that I shall be lost in the cosmos to get rid of these hellish life. Stucked in the present physical body. Mentally since my childhood am not feeling free. I have never love myself. I always care about others and took care of their needs. I always has ignored myself. I remember when I was child I was knowing my mental condition. I always thought of feeling inferior than others. Was hiding myself from others. When there was some society function celebration I always told my parents that am not coming because personally I was feeling that if I will go then people will think of me like hey see that stupid comes. In reality some of the people were ragging me. Always making fun of me. I was also like that, don’t care for myself. I was very mischievous. Was saying people. I would love to die for the people caring for them or doing some good works or fighting for the country instead of eating my life. I do believe in the soreness Lord. That means in short am not able to concentrate on 1 thing of what I want. I don’t know what shall I do or what is my target. Right now am taking antidepressant called Lexapro. Always I was and I am negative, now if I want to get the hell outta my life and wants to be free, I can’t because I also think that parents contributed in my life, they spend their life with me they loved me and I am fleeing away. Now they are 60 and 53 respectively. I think if I will flew away, these thoughts will haunts my mind that what they will do, what r they doing right now kinda lots of questions. In one of my dream I was fighting moguls. I killed 2 moguls and threw away their bodies in the lake or may be River or sea. Than they got to know about it, army of moguls is coming after me. Am standing in front of them than also they can’t see me and I am witnessing these stupid dream. Now I don’t know where and how to start my new life? Just thinking to join some ashrams, may be sometime’s I think to flew away to Tibet convert myself to Buddhism. Sometimes I think to flew away to Himalayas. I know by these way never ever am gonna attain an enlightenment. Thanks sir. Thanks for your comment Rahul. Remember not to take your dreams too seriously. And remember that self compassion is key. I wish you blessings.